How can we build the institutions that will promote the cooperation needed to meet our intertwined environmental and economic needs? Efforts to meet these twin goals in New York City’s watershed collaborations offer some guidance. The experience provides lessons in addressing scattered sources of pollution, encouraging environmentally compatible economic development, and coping with conflicts that are part of the collaboration process. It also yields insights into what we need to work effectively towards sustainable economic development. This book identifies many barriers to achieving the cooperation necessary to solving our water problems and discusses how watershed collaborations are a means to overcoming those barriers. 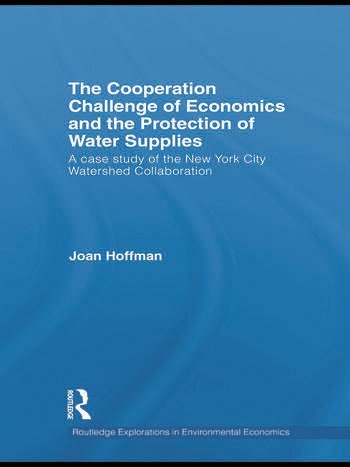 Historical experience and lessons from other watershed collaborations informed the design of New York City’s complex watershed collaboration which is shown to contain the elements of a "green milieu" that can foster sustainable economic development. The particular challenges to the collaboration’s environmental and economic goals created by the watershed’s rural economy, farming and forestry are described. The unusual inclusion of the analysis of the economic aspects and effects of collaboration, of the relationship between collaboration and sustainable development, and of the processes of implementation and conflict make this book especially valuable to those interested in collaboration, regulation, environmental cooperation and conflict, watershed protection, economic development in general, and sustainable economic development in particular. Joan Hoffman is a Professor of economics and Chair of the Department of Economics at John Jay College of Criminal Justice, City University of New York, USA.